Q: What is Chamber Advantage? A: The Huntington Regional Chamber of Commerce Chamber Advantage discount program allows members to offer discounts on business products and services to other Chamber member businesses. This can provide a great value to members through savings when purchasing. Also this program offers extra promotion for your business when offering a discount to the membership. Q: Who is eligible to offer a discount? A: All active Chamber member businesses offering a discount on business products or services may participate. Q: Who is eligible to receive discounts? A: All active Chamber members can utilize the discounts. Q: How can I verify if a business is a member of the Huntington Regional Chamber of Commerce? A: For an up-to-date listing of member businesses, visit www.huntingtonchamber.org. You can also contact the Chamber office at 304.5255131. Q: How long is the discount offered? A: Discounts are offered for one calendar year. The Chamber must be notified in writing of any changes or discontinuations. Businesses can renew discounts annually. Q: What is the cost for a business to participate? A: All active Chamber member businesses offering business products or services may offer discounts for members and have the offer promoted to the membership for FREE! And all Chamber member businesses receive access to these discounts as a benefit of membership. Q: What type of discount should my company offer? A: Examples could include a percentage discount on specific services or products or a reduced cost on selected items. Discounts are at the discretion of the business. Brand Yourself offers all Chamber Members a 5% discount on any promotional product or apparel order. Customers must mention this discount when requesting a quote. Discount does not apply to setup charges or shipping. Call (304) 942-8939 or visit www.brandyourselfwv.com. 5% discount off standard daily and weekly rental rates in all Huntington/Tri-State locations. For more specific needs or customized Business Travel program, contact Scott Six at 304.222.0853. 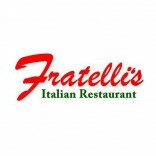 Fratelli's Italian Restaurant is offering Huntington Chamber Members 10% off, excluding alcohol, discounted items and catering prices. Call 304.955.5134 or visit www.fratelliswv.com. Fruth Pharmacy is offering Huntington Chamber Members 15% off everyday items with normal exclusions: alcohol, tobacco, prescriptions, gift cards and lottery. Please visit www.fruthpharmacy.com. Honey Baked Ham Co. & Cafe offers Chamber Members free delivery with order of 15 or more box lunches; or 10% off any bone-in ham. For more information, call (304) 733-4266. The HSO is offering a 20% discount to any Chamber member who purchases 15 tickets or more. To accommodate and ensure the best seating, it is requested that reservations be made 10 days in advance of performance. For more information, call 304.781.8343 or visit www.huntingtonsymphony.org. The Huntington YMCA is offering Huntington Chamber Members a waived joiner's/building fee. Save $50. For more information, contact Kristi Adkins at 304.525.8127 or by email kadkins@huntingtonymca.org or visit www.huntingtonymca.org. Network Innovation Solutions is offering Chamber Members 10% off Security Assessment. This evaluation provides insight into the network environment from a security and technilogical perspective. There are several areas available for this type of assessment including an evaluation on: firewalls, email environment, internal network, external network, social engineering/physical security, active directory, wireless network, desktop/laptop, infrastructure, and mobile devices. All areas in this assessment focus on the security of various network components and user access to the network. For more information, call 304.781.2282, email sales@gonis.us, or visit www.gonis.us. Custom Core Pricing specifically for your company; Free next-day delivery of in-stock items for orders $50 or greater; Employee Purchase Program; Access to private website for order placement. Many more benefits! Register your business online at http://bit.ly/HuntingtonRegional_OD. West Virginia's Premier Cabin & ATV Rental Resort is offering Chamber Members 10% off standard rental rates with code 083158. For more information and to make a reservation, visit www.rusticravines.com or call 304.385.1085. Saad's Oriental Rugs is offering 10% off from sale price on any rug to Chamber Members. Visit www.saadsorientalrugs.com. Safeguard Business Systems is offering to all Chamber members $10 off the first toner/ink order. Call 740.866.7929 or visit www.tristatesafeguard.com. Snap Fitness offers Chamber members a corporate membership rate which includes a 50% discount on enrollment and reduced monthly dues. Customers must mention this discount at sign up. For more information, call 304.840.0180 or stop by for a tour at one of our facilities. 1509 W. Main Street Milton, WV, 3705 Teays Valley Road, Suite 100 Hurricane, WV, 3440 Winfield Road, Winfield WV. Visit www.snapfitness.com. The Herald-Dispatch offers various advertising discounts exclusively for Chamber Members including a total of three free ads when you join and greatly discounted ads when you renew your Chamber membership. Call 304.526.2890 or visit www.herald-dispatch.com. Walls & Associates, PLLC is offering Chamber Members 15% off tax preparation service fees. For more information, call 304.390.5971 or visit www.walls-cpa.com.